Michael Kors Hayden Suede Sandals. Michael kors Hayden suede platform sandals. Steve Madden Jillyy Dress Sandals. 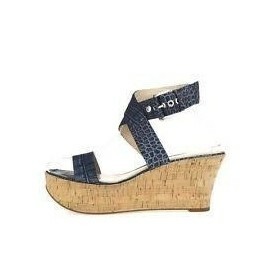 Via Spiga Strappy Croc Sandals Denim blue croc stamped leather uppers.